The permanent contraceptive Essure went off sale December 31—a relief to the activists known as “E-Sisters,” who came together around symptoms they linked to the device via a Facebook group called Essure Problems in 2011 and celebrated with New Year’s Eve online toasts. When Essure won FDA approval in 2002, it held great promise as a non-incisional alternative to tubal ligation: two tightly wound metal coils are inserted through the cervix and expand in the reproductive tract, where they stimulate scar tissue that blocks sperm from entering. 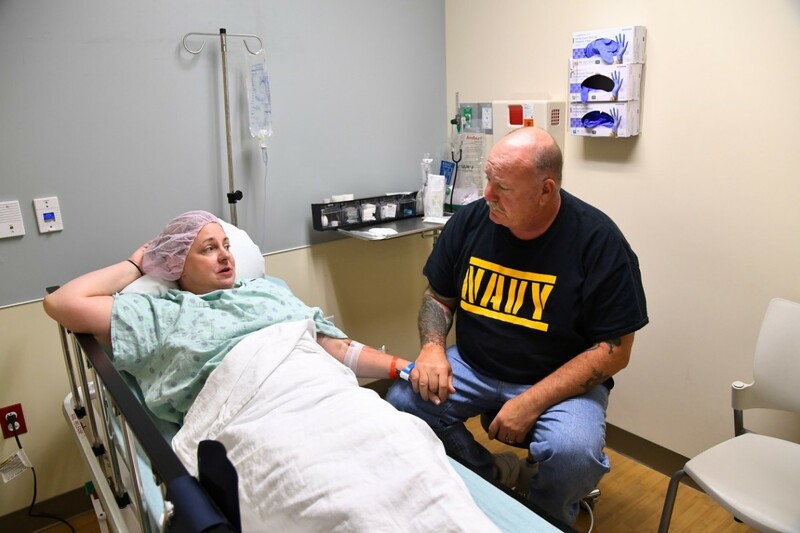 But incisions have been required for some 20,000 U.S. women to remove the device, most often by hysterectomy, after they experienced severe reactions, according to former FDA analyst Madris Tomes, who tabulated raw data from FDA’s MAUDE database. Thousands more have reported complications like the coils breaking apart and migrating into other organs, debilitating pain and bleeding, and even immune reactions including fatigue, joint pain, rashes, hair loss, and tooth decay. 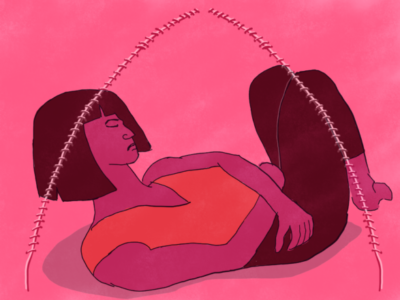 To date, the FDA has logged some 32,000 official adverse event reports associated with Essure, including 21 patient deaths, according to Tomes. In collaboration with Type Investigations (at the time called The Investigative Fund), I covered these problems in The Washington Post and for Reveal radio in 2017. In September 2017, Bayer announced it was pulling Essure from every market except the U.S.
Last April, the FDA imposed what it called a “unique” restriction on the device: physicians who continued to implant would have to give patients a 28-page booklet detailing risks, produced by Bayer and approved by the FDA, and sign it alongside their patient. Calls to a few dozen doctors’ offices and clinics around the country suggest Patterson, who declined to comment, may be an outlier in stockpiling the device. Still, we spoke with 50 providers in roughly 35 states, and about half said they are sticking by the stock they have. And anti-Essure activists said they have collected recent reports of doctors implanting the device without the full warning. On the eve of Bayer’s July announcement that it would pull the product from the U.S. market, Essure Problems founder Angie Firmalino and other activists erected a screen on the lawn across from company headquarters in Whippany, New Jersey, to show the newly released film, which investigates how medical devices like metal-on-metal joint implants, transvaginal mesh, and Essure get to market and elide regulation once there. Firmalino, who is featured in the film, says some 5,000 women have joined Essure Problem’s ranks since the documentary premiered, swelling the group to over 42,000. Holly Ennis, a personal injury attorney, is representing hundreds of women who have filed cases against Bayer. As of October 2018, 18,000 women had sued the company in connection with Essure. Ennis told me told me she received around 300 calls since the film’s release. Some of those callers had been implanted since the FDA’s restrictions were imposed in April but were given old marketing brochures rather than the proper consent forms. The FDA has directed those women to report an allegation of “regulatory misconduct” to the agency, though they don’t indicate what happens to those complaints after they are filed. Patients may also be able to mount malpractice cases, but those are notoriously difficult and expensive. Meanwhile, it has become more onerous for individuals to submit reports of device injuries and complications of all sorts to the FDA. Up until sometime this spring, one could download an app called MedWatcher and make an official adverse event report that would not only go to the agency but would be logged within the app’s crowdsourcing database, so that users could set up alerts for particular devices and track other similar reports. The app was a key tool in the E-Sisters’ organizing—a study published in Pharmaceutical Medicine looked at 1,800 women who reported problems with Essure and concluded that the app expedited the process and increased people’s participation in what’s called pharmacovigilance, with 15 times more reports submitted per month via the app than “traditional portals.” Medwatcher filers got a unique report number immediately, which the activists use to pressure the FDA. The app was originally created by developers at Boston Children’s Hospital in 2010. The FDA later contracted Epidemico, a division of Booz Allen Hamilton, to further develop and maintain it. When asked why the app is no longer functional, Epidemico said the FDA had not renewed the contract. The FDA directed inquiries about the app’s disconnect back to the private entity. Now, it takes longer to make a report and to obtain a report number. The E-Sisters’ last battle is the least likely to conclude in their favor: they want an FDA ban, to preclude any more sales off the clearance rack. But in late December, FDA Commissioner Scott Gottlieb reiterated the agency’s 2016 order that Bayer complete a multi-year study comparing the health outcomes of Essure recipients to those who opt to get their tubes tied (the gold standard comparison that was not done in the original clinical trials that won the device approval). The study could illuminate the true risks and benefits of the device, but for the results to be significant, hundreds more women would need to be implanted. So long as women keep getting Essure implanted this year, the FDA is encouraging Bayer to enroll them in a study—while supplies last. Is Essure making women sick?